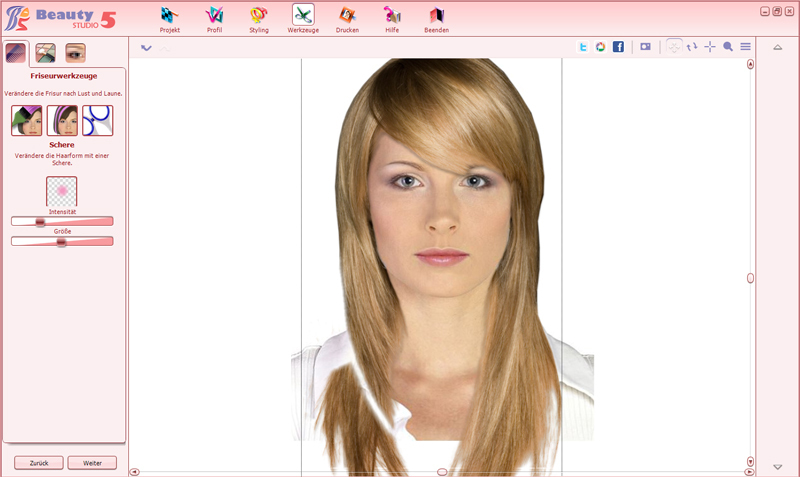 Beauty Studio 5 - Games, Assets and more! 2 in 1 plus Bonus - An easy way to the new look! A way to a new look can be long and hard. Your dream hair cut doesn’t suit your face, the new hair color doesn’t harmonize with your eyes, and the new lipstick leaves you look pale… Have you already experienced it? 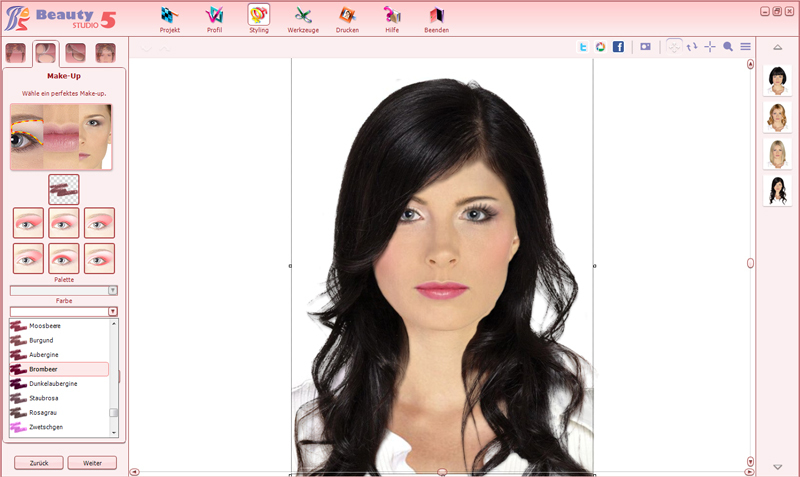 Such disasters belong to the past for you if you use Beauty Studio 5. Even the most risky changes, unusual hairstyles, make up ideas from the trendy magazines can be tried out as easy as removed again. 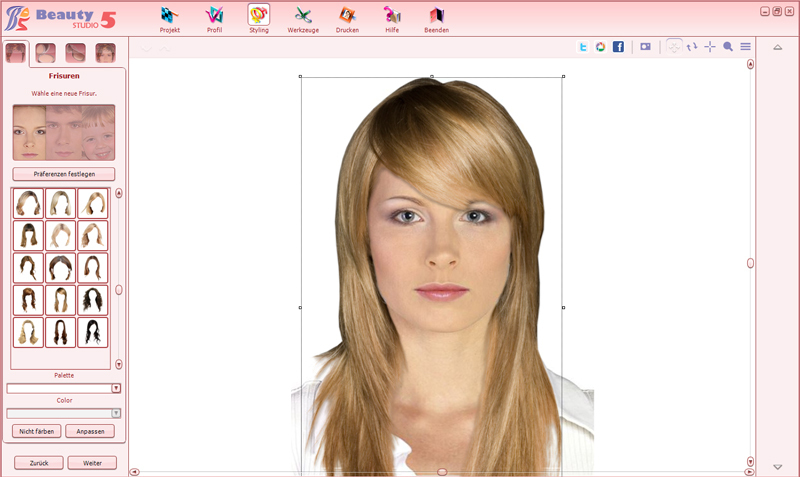 Such disasters belong to the past for you if you use Beauty Studio 5. 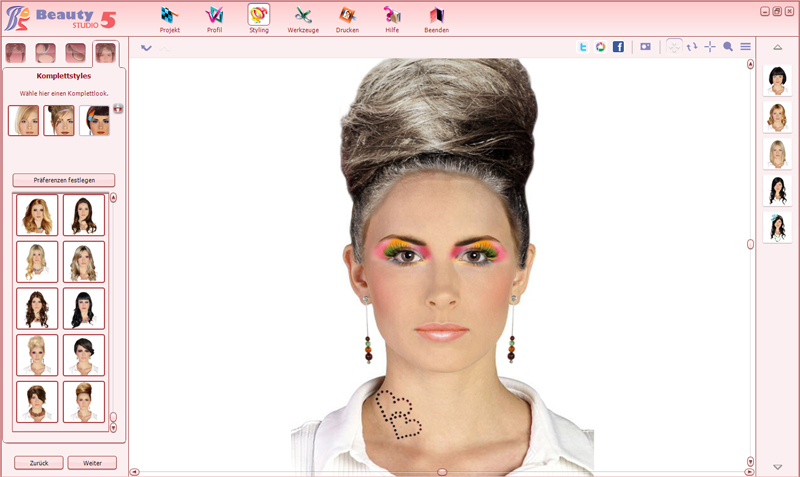 Even the most risky changes, unusual hairstyles, make up ideas from the trendy magazines can be tried out as easy as removed again. 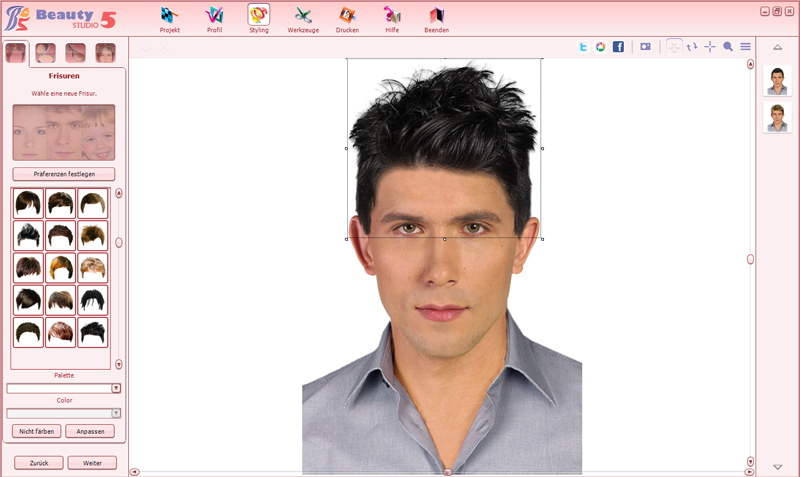 You don’t need to give up your beautiful blond curls to see how you would look like with a short cut in black. 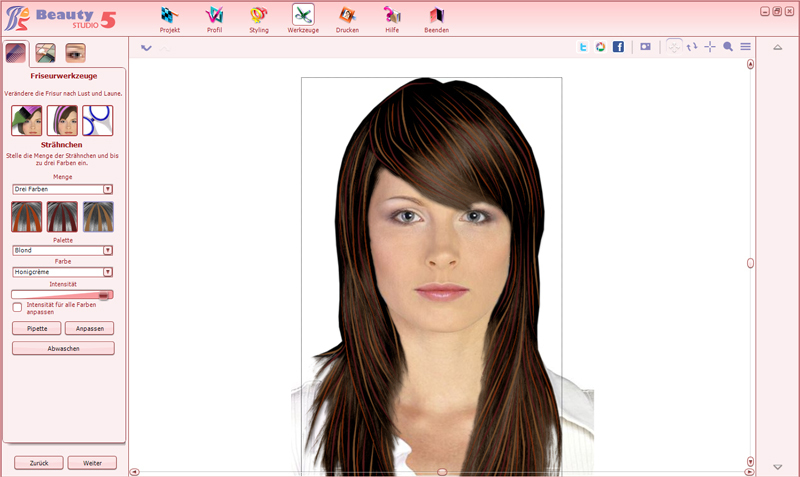 If it doesn’t suit, in just one click you receive your usual hairstyle again. And if you like it, just print it out and show it to your hairdresser. A lipstick in a trendy color? You don’t need to pay for it immediately. First try it out – at home on your monitor. 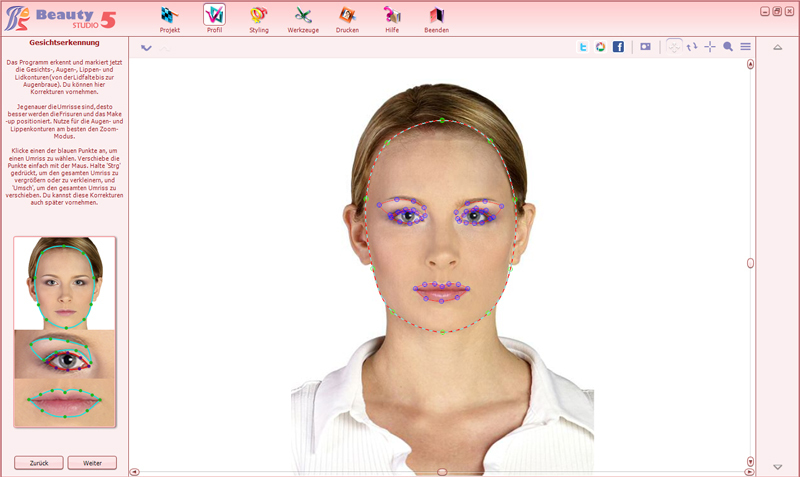 And Beauty Studio 5 will tell you, which colors are the best for your personal color type. 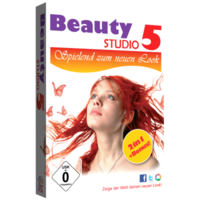 Beauty Studio 5 contains two styling professionals in a set: Hair Master 5 with it’s 500 absolutely photorealistic trendy hairstyles and hundreds of accessories and Makeup Styler 5 for the make up which makes you shine. 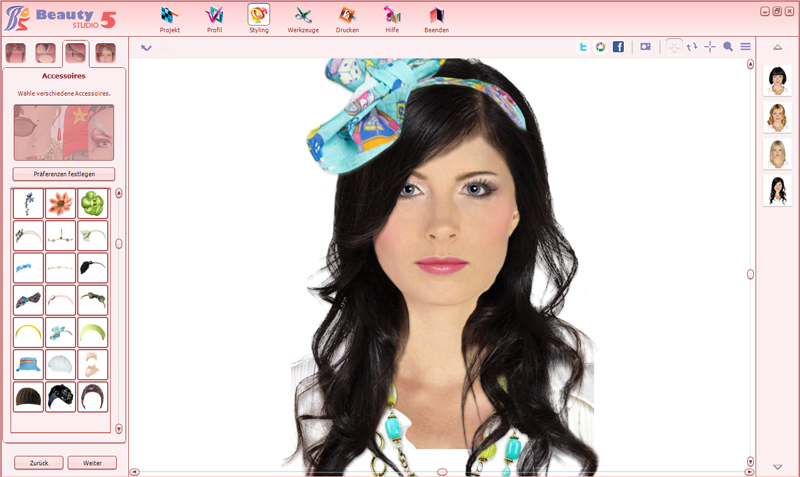 And as a bonus you receive 100 complete styles for any occasion containing hairstyle, make up and accessories to try out in just one click. 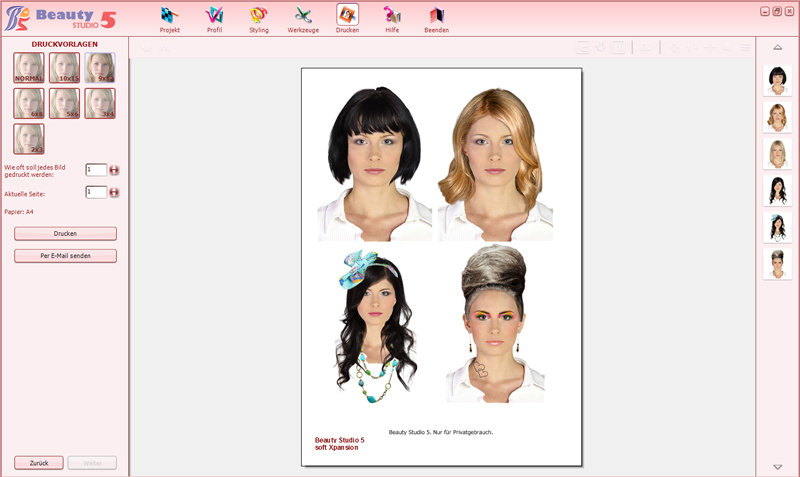 Beauty Studio 5 is your reliable styling partner always available on your computer – at any time, with or without internet connection – and consults your friends as well as yourself.